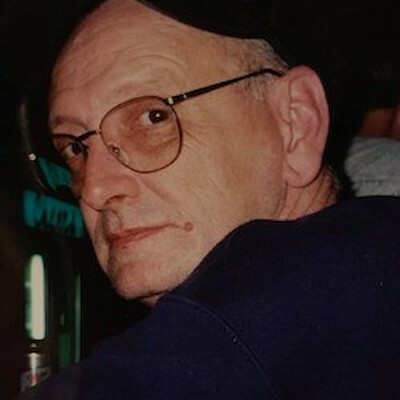 David Sayre Clem, 74, of Almena, died Thursday, March 21, 2019 at Dove Healthcare. He was born September 17, 1944 in Fairmount, WV to Paul and Elizabeth (Heaney) Clem, Sr. He graduated from Alma High School in Florida, then entered the U.S. Army and served 22 years, including 3 tours combat in Vietnam and many years in food service in Germany and the U.S. He was married in Fort Leonardwood, MO on April 30, 1975 to Diane Siebens. David loved reading and visiting with others on the subject of the military, his beloved dogs and spending time camping with his family and friends. He has been a longtime member of the VFW and served as Scoutmaster for his sons Boy Scout troop. He is survived by his wife, Diane of Almena; children: Diane (Michael) Vaughn of New Auburn, John (Lynda) Clem of Carson, VA and Christopher Clem of Salsbury, New Brunswick, Canada; grandchildren: Alex Vaughn of Chippewa Falls, Zachary Vaughn of New Auburn, Haley Vaughn of New Auburn, Rodger Clem of Salsbury, Canada and Jacob Clem of Salsbury, Canada; nieces, nephews and other relatives. David was preceded in death by his son, David Clem, Jr. and his brother, Paul Clem, Jr.
Funeral services will be held at 11:00 AM Friday, March 29, 2019 at Skinner Funeral Home - Cumberland with Pastor Preston Paul officiating and burial to follow at Northern Wisconsin Veterans Memorial Cemetery in Spooner with full military honors rendered by the Almena VFW Post #8512. Pallbearers are Alex Vaughn, Zachary Vaughn, Michael Vaughn, Scott Kurschner, Aaron Scherff and Mike Murphy. Visitation will be from 4:00 to 7:00 PM on Thursday at the Skinner Funeral Home in Cumberland and for 1 hour prior to the service on Friday. Memorials are preferred to the Wounded Warrior Project.